Tehreek Taliban Pakistan statement of condolences over the martyrdom of a great leader of Jihad in the world & the commander of huge Jihadi factions & chief of Islamic Emirate the esteemed Mullah Akhtar Muhammad Mansur Rahimahullah. It’s our faith & belief that every soul shall die one day and even the Prophets & Angels are not free of it, therefore the final messenger Muhammad (Peace & Blessings of Allah be upon him) had to go thru this reality. Real purpose is the preparation for the afterlife & to obtain the true goal of implementing the law of Allah upon the land of Allah in this Allah’s given life. The martyrdom of the commander of various Jihadi factions & the chief of Islamic Emirate of Afghanistan esteemed Mullah Akhtar Muhammad Mansur Rh is indeed a tragic event & a great loss for Islamic Ummah & global Jihadi movements. To fulfill the gap of such a moderate, experienced, insightful & brave Jihadi figure is indeed a hard task because esteemed Mullah Akhtar Mansur Rh was among the founders of contemporary global Jihad. He led & commanded the Islamic Ummah especially Jihadi movement in difficult circumstances. We share our condolences with all our Mujahideen (TTP), Islamic Emirate of Afghanistan, the friends & relatives of Mansur Rahimahullah & with the Mujahideen of Afghanistan & entire world & with the new leader of global Jihad Ameer Sheikhul Hadith Moulvi Haibatullah Akhundzada Hafizahullah. Indeed all belongs to Allah which he took & belongs to him what he provided & everything will remain with us for a specific time. Be patient & expect for reward. May Allah increase your rewards, grant you patience & accept your dead. Alhamdulillah we are happy that Mansur Rahimahullah stood by his stance till his martyrdom & commanded the path of respect (Jihad Fi Sabil Allah) until his martyrdom. Tehreek Taliban Pakistan is engaged against the most wily & Taghouti group (Pakistani rulers & security forces). This is the group which Britain imposed on Pakistani land after withdrawing & tasked it with the basic mission to stop the emergence of any true Islamic rising & a stable Islamic force in the region & that the resources of this region are always used for the well being & stability of international system of Taghut. This Taghout group (Pakistani forces) served this mission which wasn’t expected by its crusader masters. 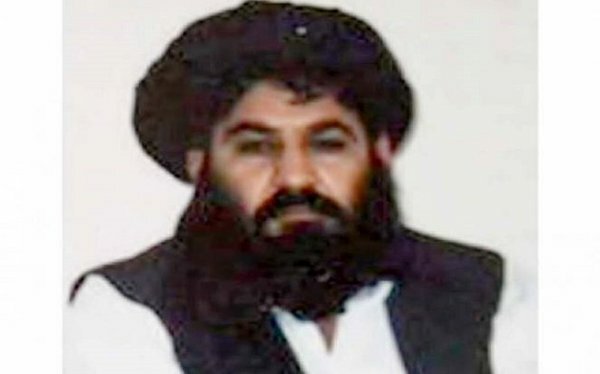 Pakistani rulers & forces turned the victory of Afghans & Muslims against Soviet occupiers into a failure & became the cause of the painful fall of Islamic Emirate & then sold the Awliyah of modern age great figures of Jihad to America, played central role in the martyrdom of Sheikh Osama bin Laden Rh & finally the martyrdom of greater Jihadi leader Mullah Akhtar Mansur Rh is one of the works of this occupier Taghouti slave & treacherous group (Pakistani rulers & security forces). As long as this treacherous group remains imposed on Pakistani Muslims, it will remain too hard to implement Islamic system in this region by the hands of Jihadi movements. The weakening & demolition of true Islamic Jihadi movements is the main doctrine of Pakistani rulers & forces. Independence of Pakistan from this very treacherous group is fundamental for the success of regional Jihadi movements & Tehreek Taliban Pakistan determines that In Sha Allah we will free Pakistan from these betrayers & will make Pakistan the fort of Islam in true sense by implementing Islamic system in it meaning that Pakistan will be a safe home to all Muslims.